Although commonly called "buffalo" since the late 1700's, the correct name is American bison (a close relative is the European bison). A mature male bison can weigh up to 2000 pounds and stand 6 foot tall at the shoulder - they are the largest land animal in North America. Buffalo once roamed the American prairie by the tens of millions and provided a way of life for native Americans of the Great Plains (it's estimated that up to 40 million bison once roamed North America) . European settlers hunted buffalo to the brink of extinction - it's estimated that between 300 - 500 animals remained when the federal government passed more strict game laws in 1889. 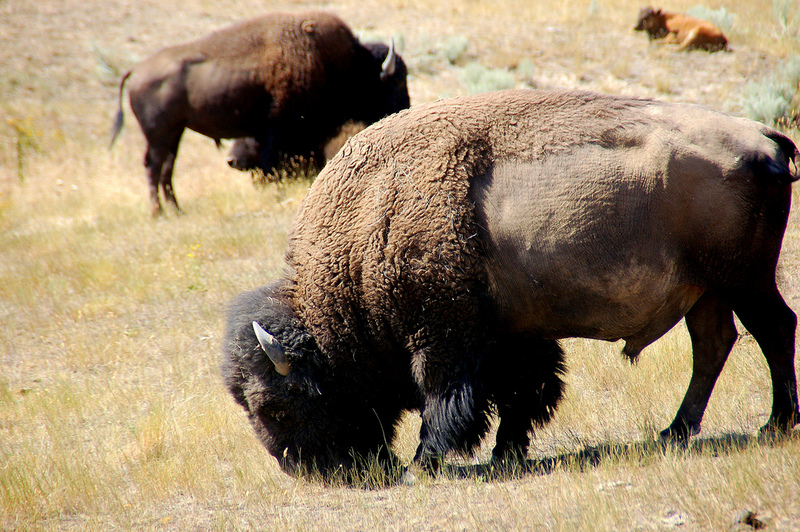 In the past, bison were essential to the ecology of the Great Plains, creating habitat for other animals and plants by grazing and disturbing the soil. 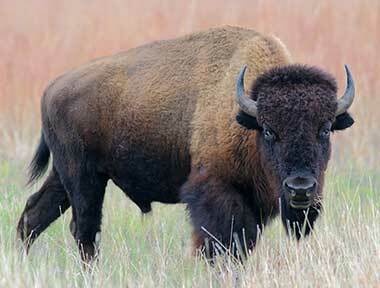 The tribes of the American plains relied on bison for food, shelter, clothing, and as a powerful spiritual symbol. 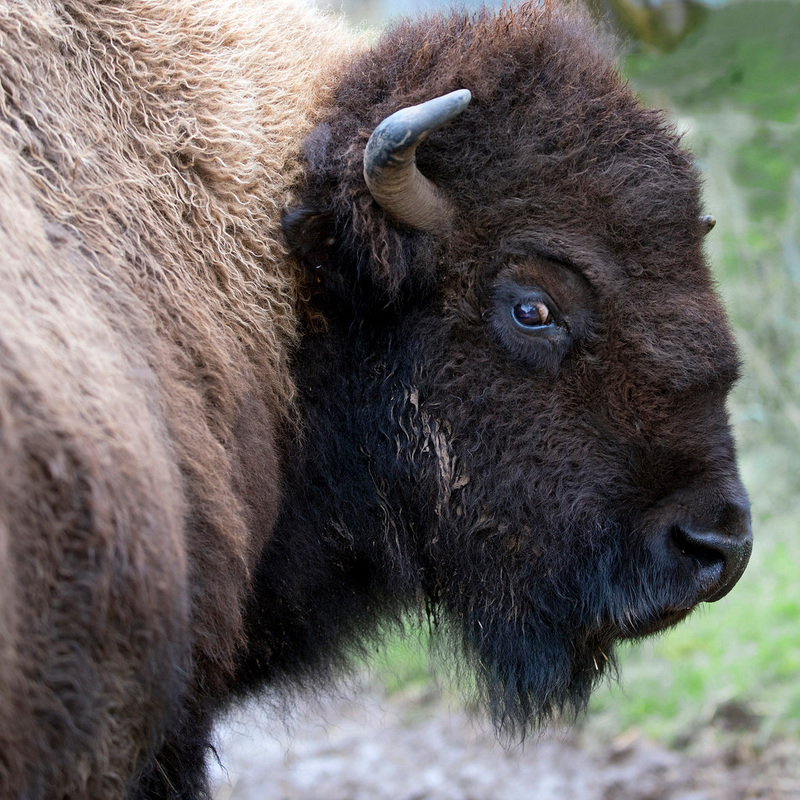 Though American bison are not in danger of extinction, there are indications that the present populations are threatened by both genetic hybridization with domestic cattle (a result of efforts to breed a more robust “beefalo” breed in the early 1900s) and exposure to livestock diseases.